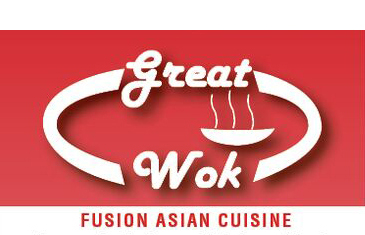 Online ordering menu for Great Wok. Welcome to Great Wok! This modest eatery offers a varied menu of Chinese, Thai & Indian offerings plus fruit smoothies. We offer many dishes including Noodle Soup, Thai Specials, Hibachi Dinner, Chinese Entrees. Enjoy different styles of cuisines in one restaurant. More choices on our online menu, Order Online Now for Delivery and Carry Out. Visit us in Uptown Charlotte across from J&W University, just two blocks from the Panthers stadium! Near I-277 and I-77, few minutes driving from Bank of America Stadium and Levine Museum of the New South.